San Diego quarterback Philip Rivers on September 30 at Kansas City, reached a couple of milestones in his career. First, Rivers became the 63rd QB in NFL history to amass 25,000 or more yards passing. Since he accumulated those 25,000-plus yards with only the Chargers, Rivers also became the 37th QB in NFL history to pass for 25,000 or more yards with one franchise. In addition, Rivers became the third Charger QB to reach the 25,000-yards passing milestone with the club, joining Dan Fouts and John Hadl. The trio of Rivers, Fouts and Hadl make the Chargers only the third franchise in the league to have three QBs reach the 25,000-mark in passing yards with their franchise (joining the Patriots and 49ers). 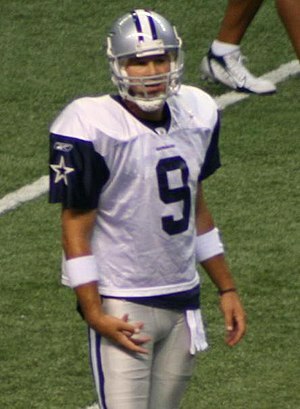 Another QB, Dallas’ Tony Romo also joined the 25,000 yard passing club in 2012, making him the 64th member of that club and, because he accumulated those yards with only the Cowboys, the 38th QB to pass for 25,000 yards with one franchise. Following are the NFL franchises that have had the most QBs throw for 25,000 or more yards for their team. 2: Buffalo (Jim Kelly, Joe Ferguson); Cincinnati (Ken Anderson, Boomer Esiason); Dallas (Troy Aikman, Tony Romo); Indianapolis (Peyton Manning, Johnny Unitas); Miami (Dan Marino, Bob Griese); New York Giants (Phil Simms, Eli Manning); Philadelphia (Donovan McNabb, Ron Jaworski); Pittsburgh (Terry Bradshaw, Ben Roethlisberger); Seattle (Dave Krieg, Matt Hasselbeck); Tennessee (Warren Moon, Steve McNair). 1: Arizona (Jim Hart); Denver (John Elway); Green Bay (Brett Favre); Jacksonville (Mark Brunell); Kansas City (Len Dawson); Minnesota (Fran Tarkenton); New Orleans (Drew Brees); New York Jets (Joe Namath); Washington (Joe Theismann). 0: Atlanta, Baltimore, Carolina, Chicago, Cleveland, Detroit, Houston, Oakland, St. Louis, Tampa Bay. George Blanda, Chris Chandler, Kerry Collins, Randall Cunningham, Steve DeBerg, Jim Everett, Roman Gabriel, Rich Gannon, Jeff Garcia, Jeff George, Trent Green, Jim Harbaugh, Brad Johnson, Sonny Jurgensen, Jon Kitna, Bobby Layne, Craig Morton, Ken O’Brien, Carson Palmer, Jake Plummer, Jim Plunkett, Norm Snead, Kenny Stabler, Vinny Testaverde, Y.A. Tittle, Kurt Warner.